People find many excuses not to visit the dentist for regular maintenance. Some people claim that they don’t have any tooth pain, therefore everything is fine. Another excuse for lack of proper dental maintenance is absence of insurance or poor dental insurance. Regardless of insurance coverage, regular checkups & cleanings will save you from expensive and potentially painful conditions in the future. Not all dental insurances are the same. Some companies may pay for certain procedures, while others deem it unnecessary or beyond what they think is “usual, customary, or reasonable” (UCR). Some insurance companies determine a set price for what their plan will pay, but usually it’s not what the typical dentists actually charge. It is determined based upon the amount of ‘financial risk’ the company is willing to accept. UCR fees are based on an average of fees across the nation, so quality of care, location of office, the doctor’s skill or choice of materials used is often not even a consideration. Most insurance will pay UCR for routine cleanings, examinations, x-rays, sealants, and fluoride treatments. Patients generally pay out-of-pocket for dental work once they reach their limit. Also, most dental insurance will not cover the costs for cosmetic procedures, implants, and they have limitations on frequency of care, regardless of whether it is truly needed or not. Regardless of insurance, people need to schedule and keep semi-annual dental visits. During these checkups, you will receive a thorough examination for periodontal disease, oral cancer, tooth decay, oral pH testing and any tissue abnormalities. You will also undergo a thorough dental cleaning to remove plaque and tartar buildup, which contributes to tooth decay and gum disease. Avoiding semi-annual visits can lead to bigger dental problems, which may or may not be covered by insurance and could cost you more in the long run. Early detection and treatment is key in the fight against tooth decay, periodontal disease, and oral cancer. If you reside in the Cupertino or San Jose area, contact me, Dr. Randy LaFrom, today to schedule your six-month dental visit. Our caring staff will answer f your questions and assist you in submitting your forms. 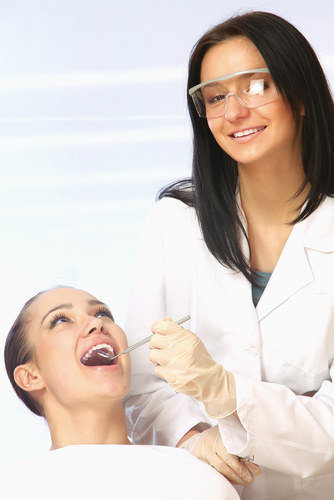 We’ll also provide you with an estimate of benefits prior to beginning treatment. Contact LaFrom Dentistry at (408)996-8595 to schedule your appointment. ~ by cupertinodentist on May 16, 2011.